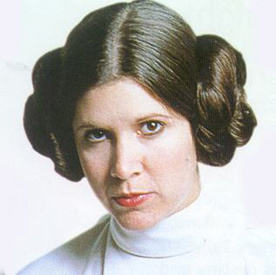 Cooking 4 Noobs: Star Wars inspired "Leia Cinnamon Buns"
I've always kind of wanted to eat her hair... ROFL! 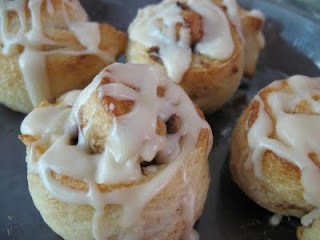 Ooey Gooey Leia Cinnamon Buns! 1. Preheat oven to 375ºF. Spray 12 muffin cups with nonstick spray. 3. Sprinkle a bit of flour on a cutting board or wax paper, then remove biscuits from cans and arrange to form a rectangle on the lightly floured surface (I had five rows of four biscuits). 4. Press biscuit dough together and roll out to create a 10×12 rectangle. 5. Brush melted butter on dough. 6. Sprinkle on cinnamon and sugar (The white and brown sugar mix). 7. Roll up tightly, starting at a long side. 8. Cut into 12 slices. 9. Tuck one slice into each of the muffin cups. 10. Bake for about 18–20 minutes until golden brown and crispy. 11. When done, allow to cool slightly while you mix together the powdered sugar and milk. 12. Drizzle on top of the cinnamon rolls while still warm. Passionate change is trying inside the battle of managing solace sustenance compulsion and being over weight. I would dare to state they are even notably better than the table pieces your excellent daddy used to serve his pets.